Portugal’s gorgeous Algarve region has a well-earned reputation as a popular destination for sun-seekers. But its capital, Faro, isn’t always at the top of a tourist’s list. Nevertheless, this is a stunning city with a great blend of history and nature that is the perfect place to choose as a home base while you explore the region. Here are the HolidayTaxis teams’ suggestions. 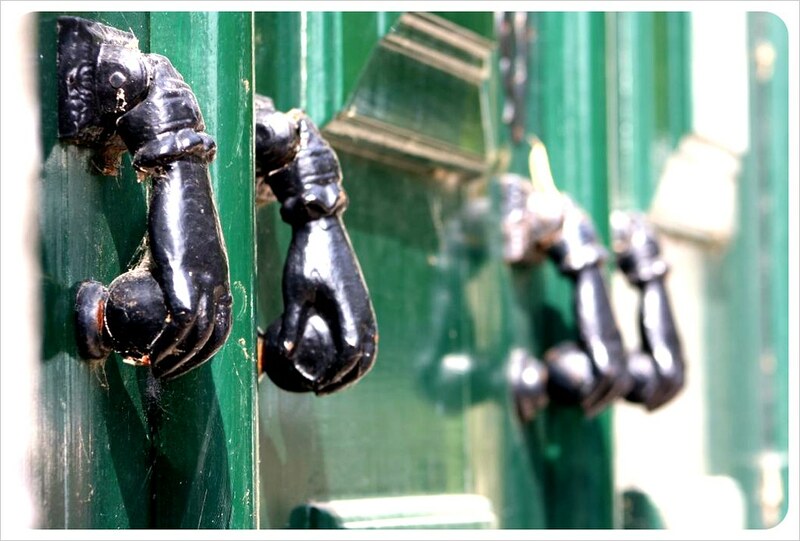 Faro’s Old Town is well worth a visit if you like history. It’s the perfect chance to escape the hordes of tourists on the beaches. As you wander down the cobbled streets, explore the well-preserved city walls, and admire the glorious Palacio de Estoi, you’ll find yourself plunged into Portugal’s romantic past. 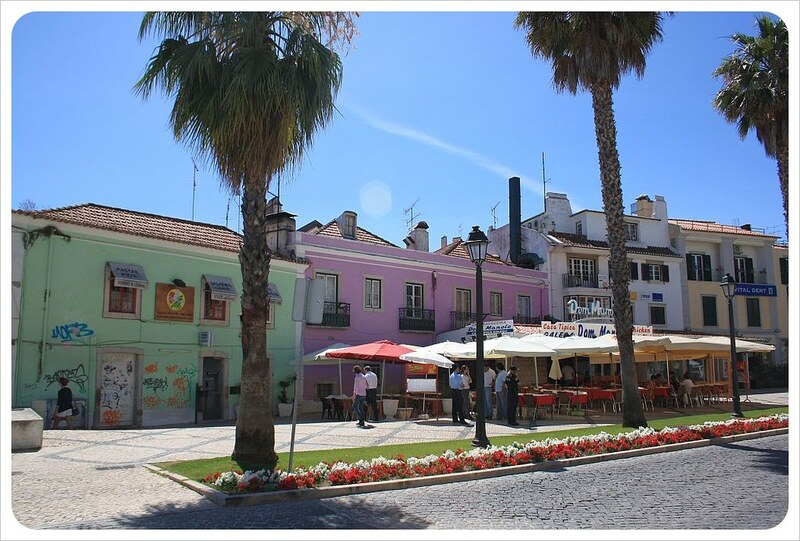 You can easily spend half a day enjoying the historical centre of Faro. 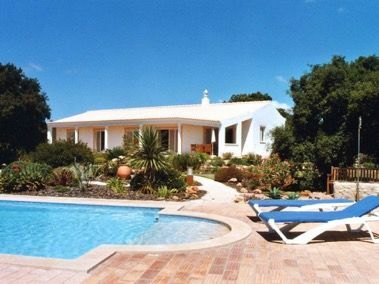 This tiny village, nestled 10km to the north of Faro, is the perfect choice for a day trip. 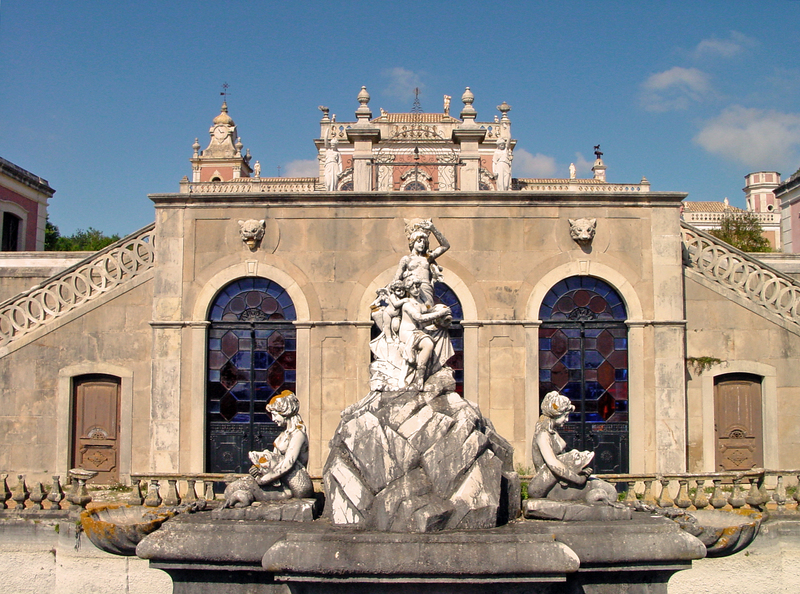 Here you can find fascinating ancient Roman ruins, as well as the stunning Palacio de Estoi. This pink palace, built just over one hundred years ago, has been converted into a hotel. Even if you can’t afford to stay the night in such luxury, you can still enjoy the gardens and the wonderful views! If you really want to do something different on your holiday, then make your way to the Capela dos Ossos, aka the Chapel of Bones. The name will tell you what to expect: inside this little church, you’ll find the remains of monks exhumed from graves around Faro. 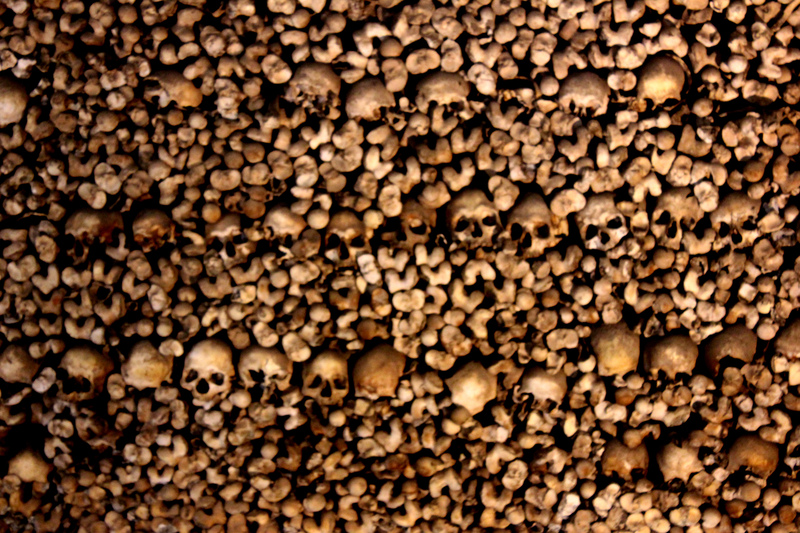 The bones of over a thousand monks, all on display around the chamber, make this a truly unique experience, and certainly not for the faint of heart! 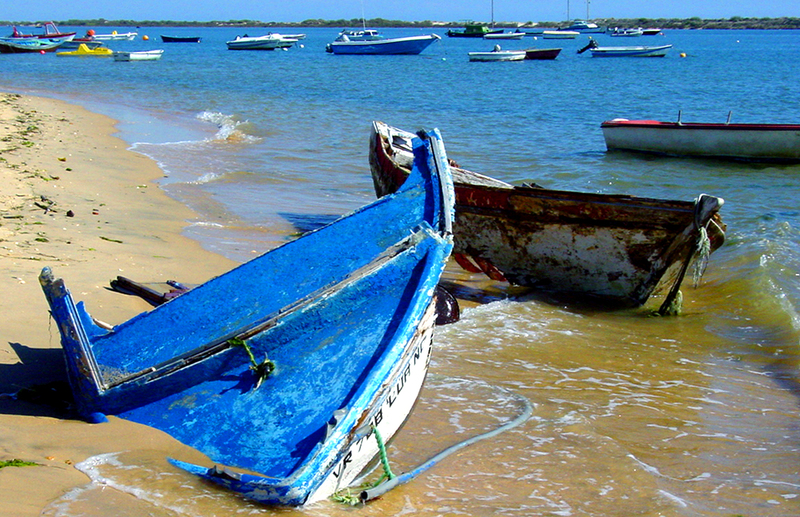 The Ria Formosa natural park is a true highlight of the region, accessible by boat from Faro. Portugal is understandably proud of this beautiful stretch of nature, and works hard to protect it. Seabirds and all manner of sea creatures live here, and you can also see traditional fishermen, who are committed to using the old methods passed down from one generation to the next. Sustainability is the name of the game here, and if you want to get more out of this eco-friendly paradise, you can enjoy excursions by kayak or snorkel, as well as birdwatching. 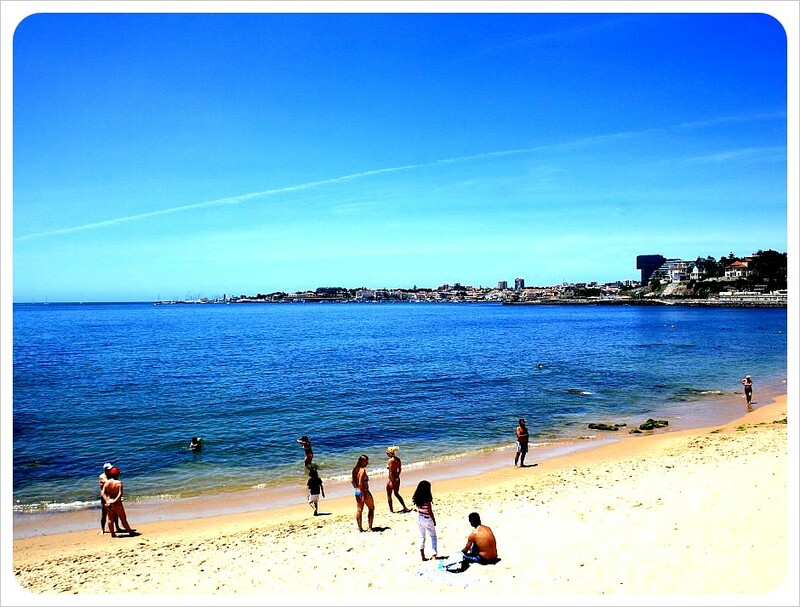 Of course, what would a Portuguese holiday be without a trip to the beach? Faro has no beaches within the city itself, but when you get to the Ria Formosa, you’ll find several seaside options. The most famous beach is the Praia de Faro, popular with tourists from all over Portugal and beyond. But if you hate crowds, then you’ll want to go a bit further, and make your way to the Ilha Deserta. 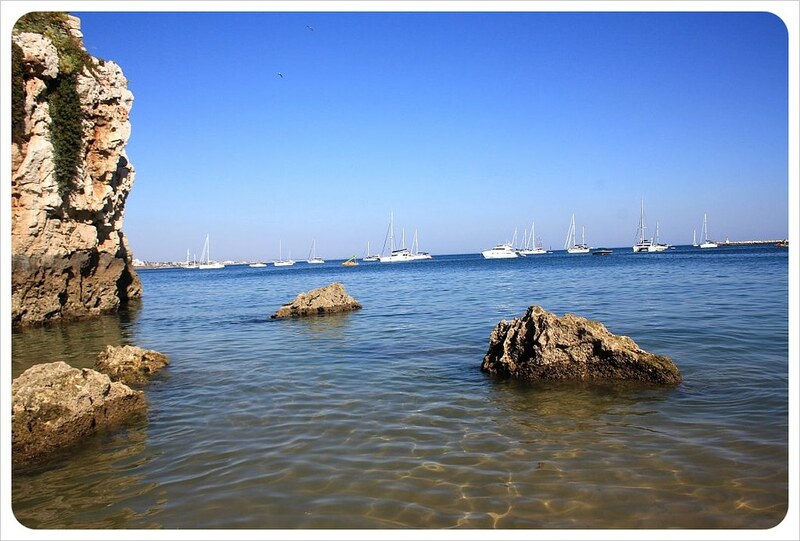 Here you’ll find one of the Algarve’s true hidden gems. 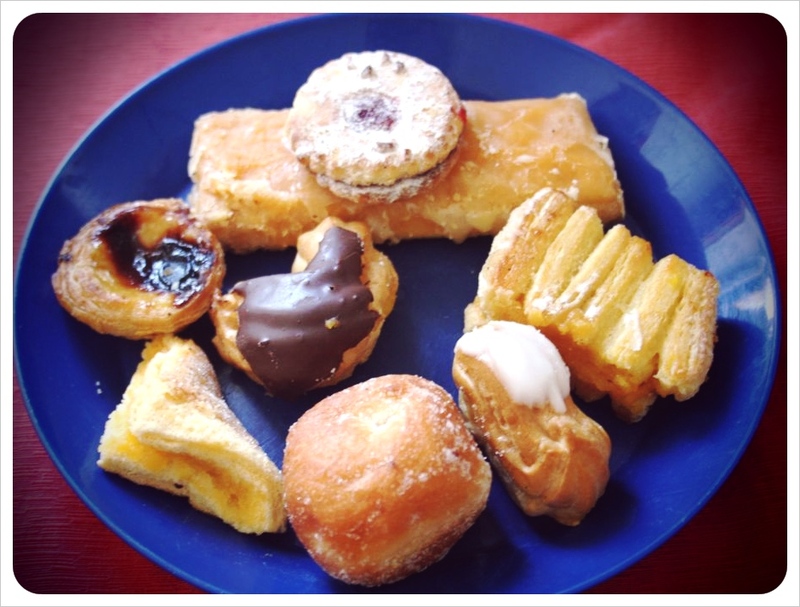 The name, which means Deserted Island, is definitely well-chosen! Get away from it all and enjoy the 9km of pure white sand, without any of the tourist amenities that can be found elsewhere in the Algarve. 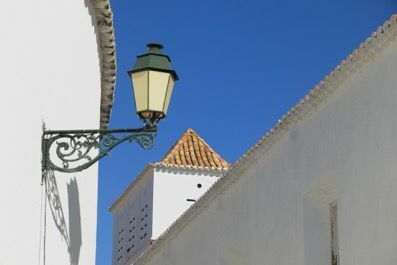 As the capital of the region, Faro is unsurprisingly well-connected. 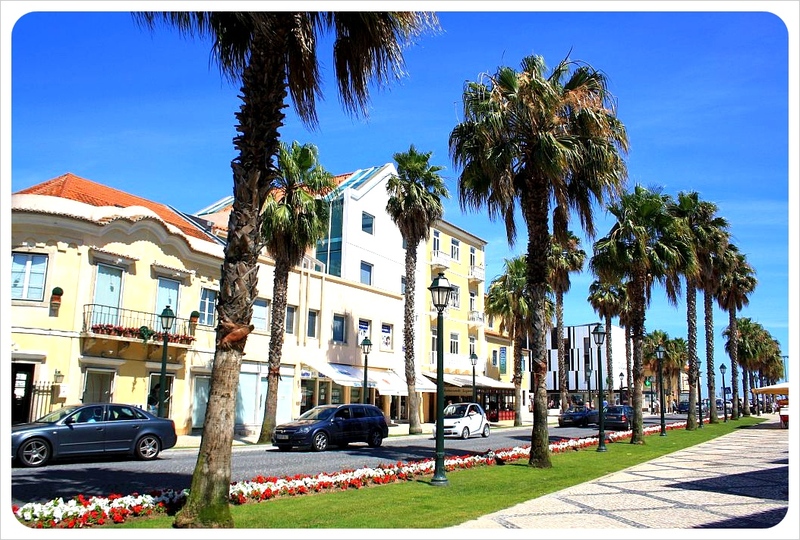 Heading west, you can find the posh resort of Vilamoura and its more wallet-friendly neighbour, Quarteira. Further inland is Loule, worth visiting on a Saturday for a great market. 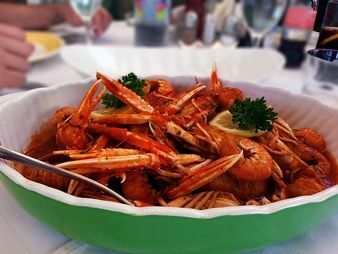 And if you go east, you’ll find Olhão, a great spot to visit if you want some fresh fish straight from the sea to your plate! 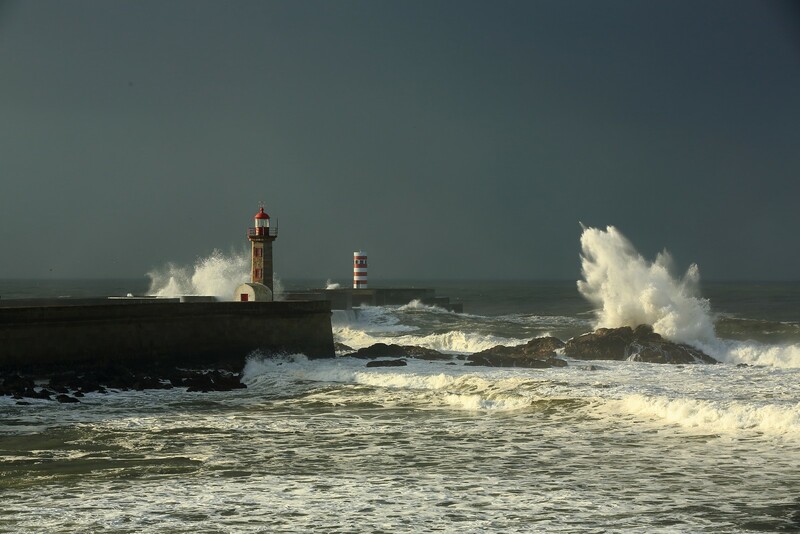 Easily overlooked by travelers to western Europe, what makes Portugal such an attractive destination is that it is here that you find that great European vacation so many tourists search for elsewhere. While beautiful beaches and historic city centers in neighboring countries are often packed with hordes of tourists, in Portugal there is still an element of discovery to be had. Rather than ‘doing’ Europe in a month, consider heading straight to Portugal and staying there. We suggest planning around these three main regions and leaving a few extra days to let spontaneity take over. Built on seven hills that look out over the Tegus river and beyond, you can easily spend three to five days exploring Lisbon and still not see it all. We spent a month falling in love with this city and will always want to go back for more. Of the 33 things we named that we love in this city the highlights are the yellow trams, the ‘green wine’ or Vinho Verde, cheap espressos, stunning sculptures and gritty street art throughout this multicultural city. Around every corner you might find a creative cafe or quirky shop and the higher you climb, the better the views of the river and the beaches beyond. 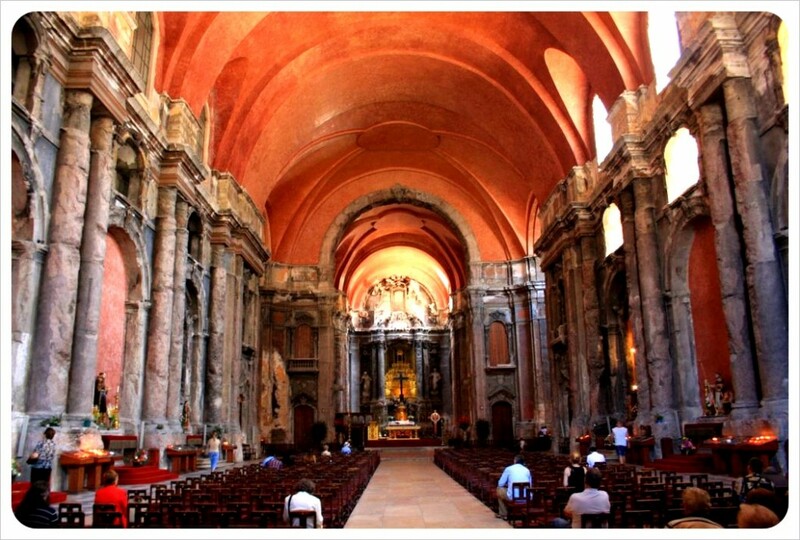 While you are in town there are plenty of day trips to be taken from Lisbon as well. Visit Sintra – a gorgeous historical hilltop town famous for the Castle of the Moors and Quinta da Regaleira, and stay for coffee or lunch before heading back to Lisbon for the night. Make sure to cross the 25 de April suspension bridge (the Golden Gate Bridge’s twin) and spend the day on the 40+ miles of beaches in the Almada province across the river. Our favorite escape is to take the coastal train out to Cascais, a small fishing village that gained fame as the resort for the country’s royal family in the 19th century. 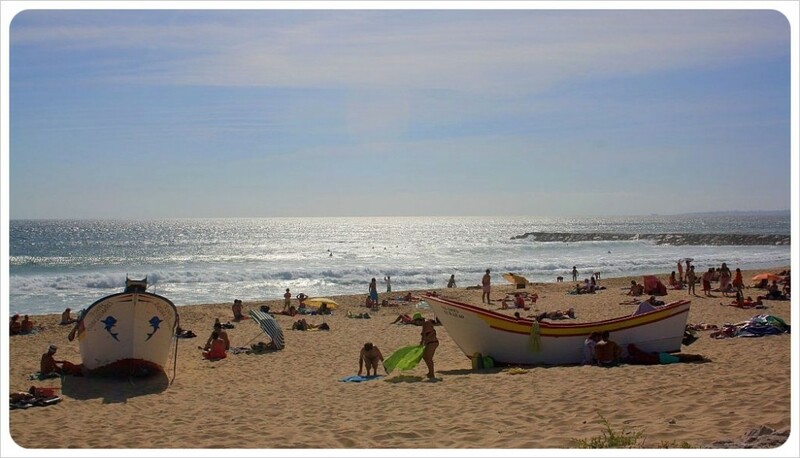 Here you could easily spend a night or two and soak up the sun as well and if you surf, head to Estoril for some of Europe’s best surfing. 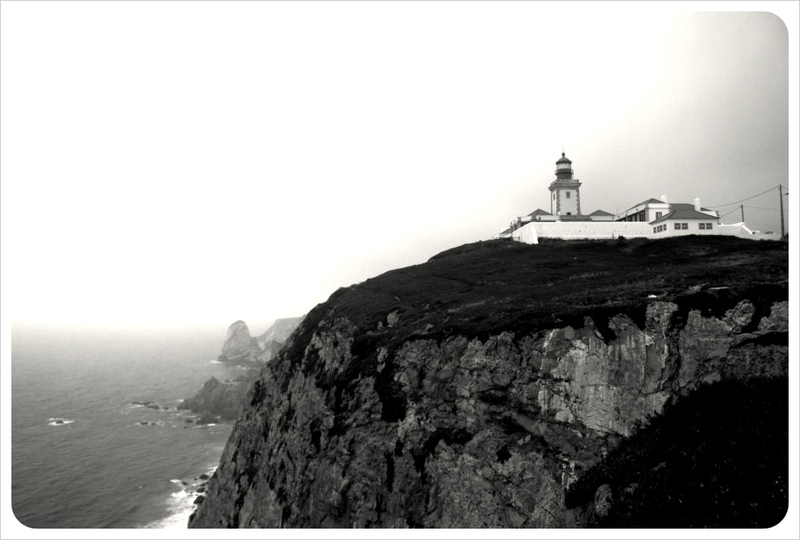 Rent a car or take the train to the northern region of Portugal and base yourself in Porto to start exploring. Traditionally famous for its Port wine, Porto has become a major tourist destination in its own right and its downtown is a UNESCO world heritage site. When you stroll past the grand architecture, it won’t be hard to understand why. But Porto is home to a great contrast of modern and historic areas, and there is a growing creative scene starting to rival Berlin or Paris, plus great new bars and restaurants and even wine-themed hotels to stay in. Get your bearings by hopping on tram line 1 for a quick 20-minute tour of the city which will leave you in the seaside district of Foz do Douro. Back in town, the Mercado do Bolhão is a majestic market whose vendors are as old as this dilapidated structure built in 1914. You can buy everything from fish to pig hooves to live roosters, cured meat or just go for the people watching and ascending and descending the grand staircases. In complete contrast to this historic building is the Casa da Música, a futuristic architectural masterpiece and home to the city’s music scene. If you’re looking for nightlife, the streets in the Clérigos neighborhood (a warehouse district formerly known for its fabric shops) are packed with people of all ages and backgrounds drinking the night away. Take a river cruise up the Duoro River, choose a wine tour in this enotec’s paradise and do a self-guided walking tour up and down the hilly streets of the city, and on the stairs that runs up and down along the cliff face. 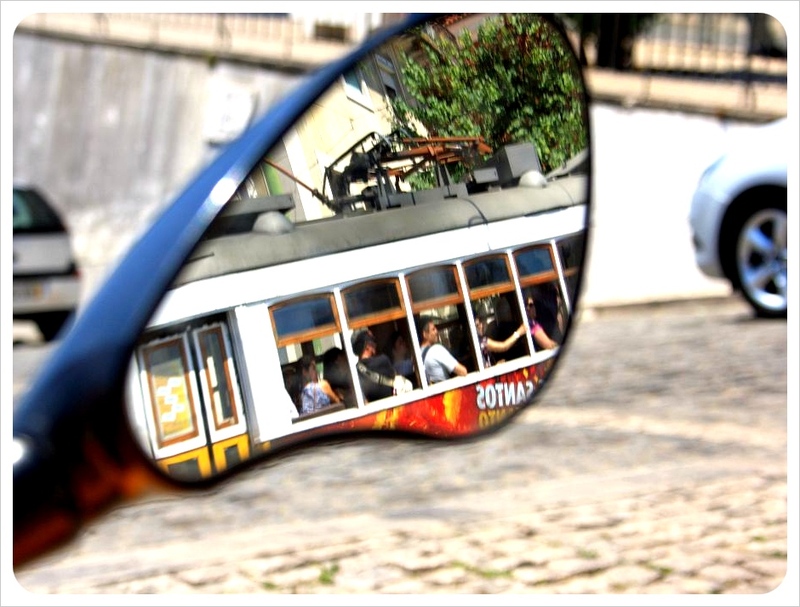 When you have tired of walking, you can take the Funicular dos Guindais, the cable railway system, to avoid climbing the steep streets (and for more views of River Duoro). If you are a football fan, scoring tickets to FC Porto might be the highlight of your trip. The population of Porto itself isn’t very large, 300,000 roughly, but the metro area connects a total 2.5 million inhabitants across several smaller cities. After constantly climbing hills and taking in the sights of Portugal’s two major cities you are going to need a break. But you don’t need to head over to Spain for that. 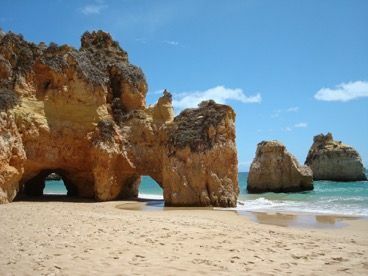 Portugal’s Algarve region offers over 200 miles of fresh, clean beaches with something for everyone. While you are in Lisbon, you will be constantly reminded of the great world explorers the Portguese were in the 15th and 16th centuries, and it was from here on the beach so the Algarve that these grand expeditions began. Today it’s easy to see why people from around the world flock here instead. The climate here is mild and sunny all year round. 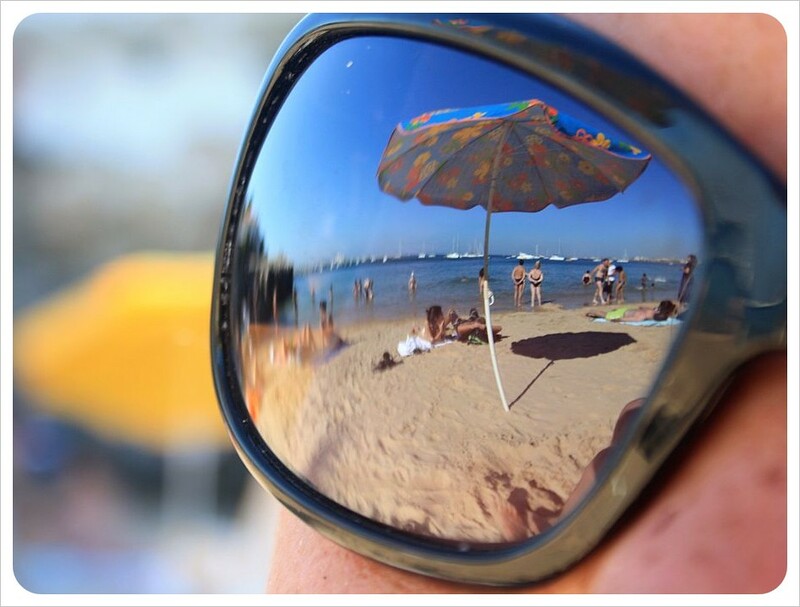 There is a mix of Iberian and Arab cultures found in cosmopolitan towns like Portimão and Albufeira. Faro is the regional capital and a popular stop in the region, and while it does have a beautiful historic center, do your own research and choose the right town to base your beach getaway portion of your Portugal experience. 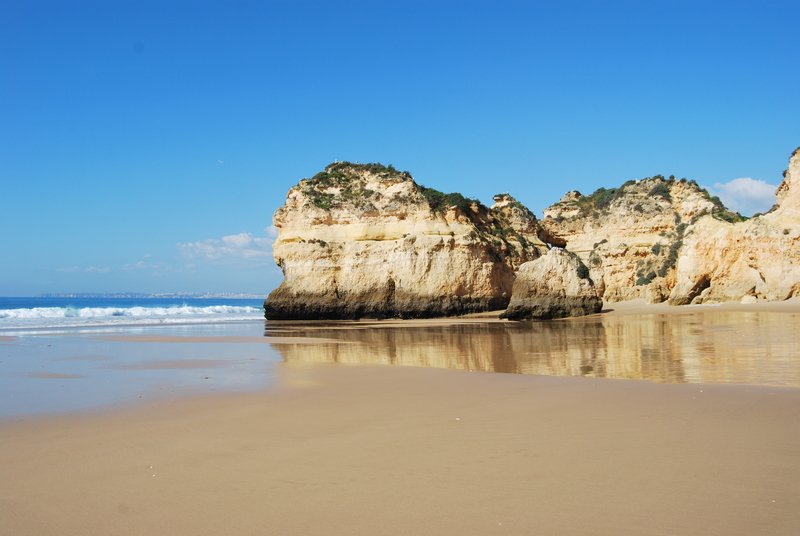 Lagos has a beautiful inner city within its city walls with winding, narrow streets, shops and restaurants, but you can also consider top spots like Vilamoura, Carvoeiro or Tavira and make sure to visit Silves, the red stone castle set on a winding rural road – a perfect day trip away from the beach. Don’t just lay on the beach all day or get pampered in the spas in the area. Work off some of that wine and cheese cycling in the Algarve. 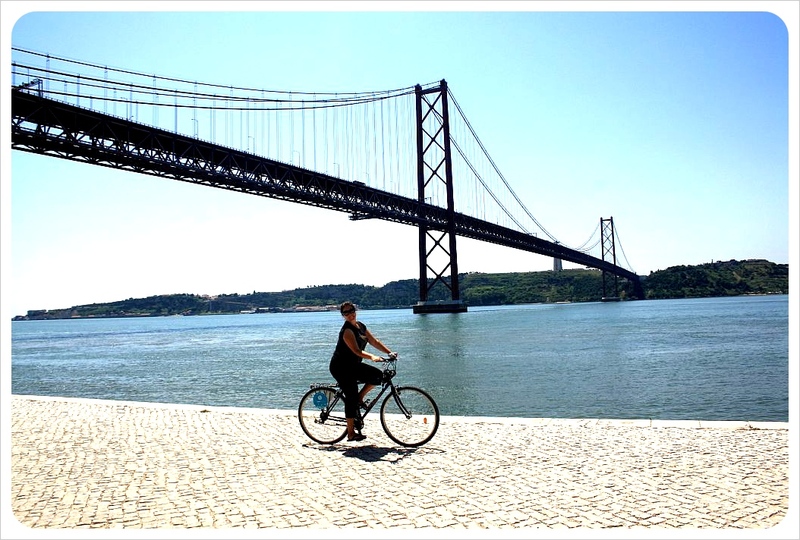 Cycling trails here are of excellent quality, such as the Algarve Way – which is inland – or the Vincente Route that runs 150miles through several of the beach front towns along the coast. 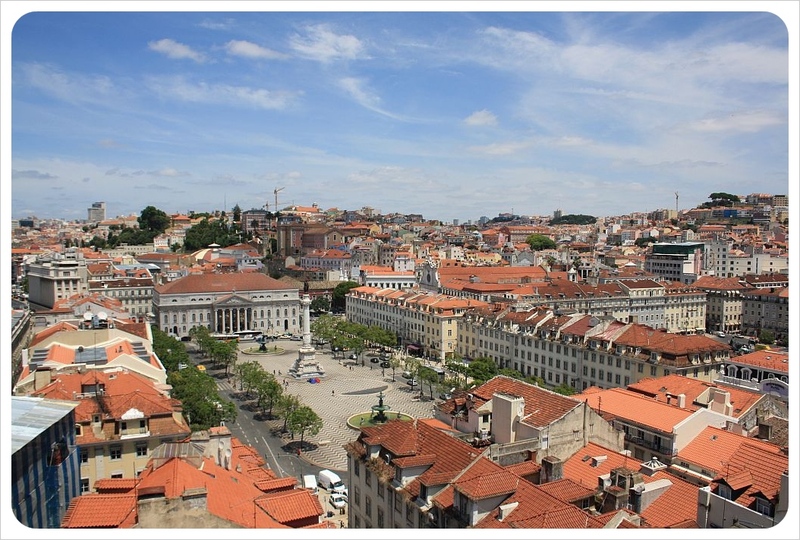 Because Portugal is roughly the size of Indiana or Maine, getting back to Lisbon to catch your train or flight out of the country is quick and painless. Another unforgettable year is coming to an end – this time it is our second year as full-time travelers! We’ve literally been around the world this year and, rather than rattle off a list of everywhere we’ve been, this Goodbye 2011 post will highlight our favorite pictures of the year, starting in Central America and ending in Thailand after stints in Europe, the U.S. and Canada. For more January highlights, check out our Facebook album Best of 2011: January (Honduras & Nicaragua). Shortly after the start of the New Year, we moved on to Nicaragua – and fell head over heels in love with the country. The picture was taken in Masaya, just outside of Granada…one of Nicaragua’s most visited cities. Throughout the country, the horse and buggy is still a common and totally valid form of transportation – alongside cars, buses, SUVs, motorcycles and bicycles. For more February highlights check out our Facebook album Best of 2011: February (Nicaragua & Costa Rica). After three relaxing weeks in Costa Rica we made our way to Panama and were most impressed with the Casco Viejo area of Panama City (check out our picture post of Casco Viejo). We resisted actually picking up a Panama hat, but couldn’t resist photographing them. Panamanians have certainly got style! For more March highlights check out our Facebook album: Best of 2011: March (Costa Rica, Panama & Germany). 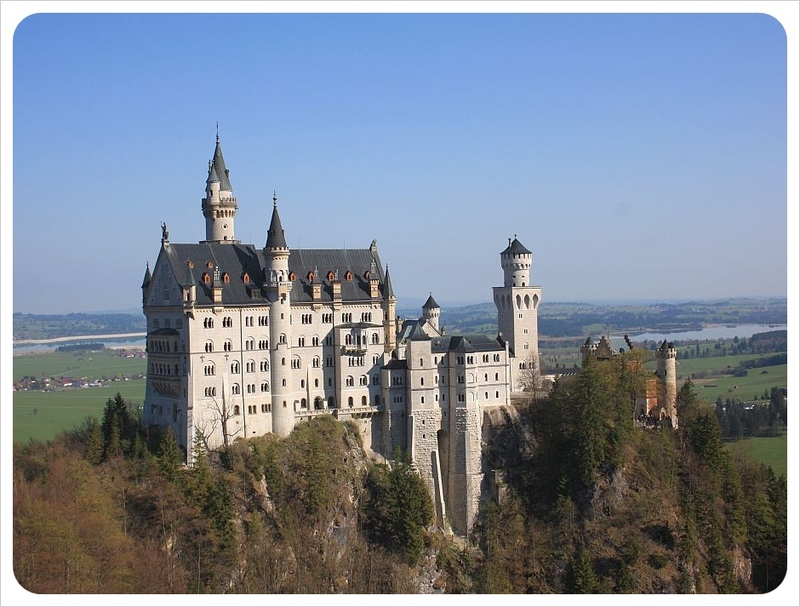 Going from six months in the developing countries of Central America to visiting the mighty castles of Germany was an extreme contrast. This is what we love most about our nomadic lifestyle! At the end of the month we completed our first year on the road (find out how much we spent in one year of travel here). In Spring we traveled in Europe, from Germany and Austria to a few weeks in Tuscany. 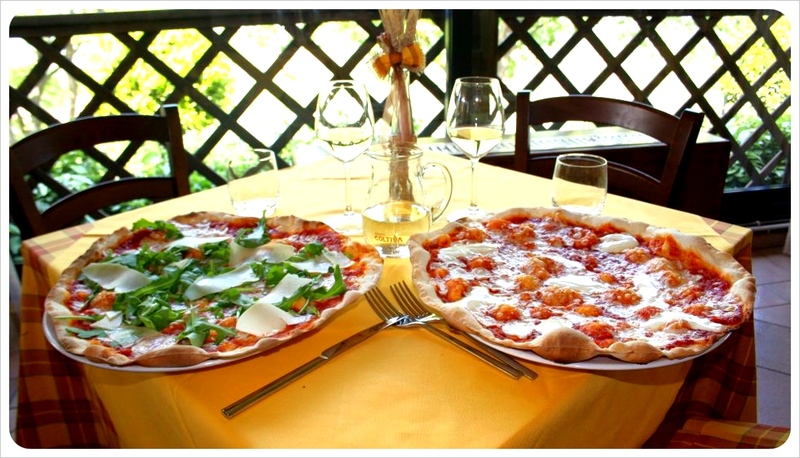 While we were both blown away by the romance of the countryside, the taste of the wine and the warmth of the locals, it was the pizza…the glorious pizza…that became the highlight of May 2011 for us. For more May 2011 highlights including Jess with a group of aliens in Spain, check out our Facebook album: Best of 2011: May (Italy & Spain). In the first week of June, we went on our first ever cruise and followed that up by reaching 400 days on the road! 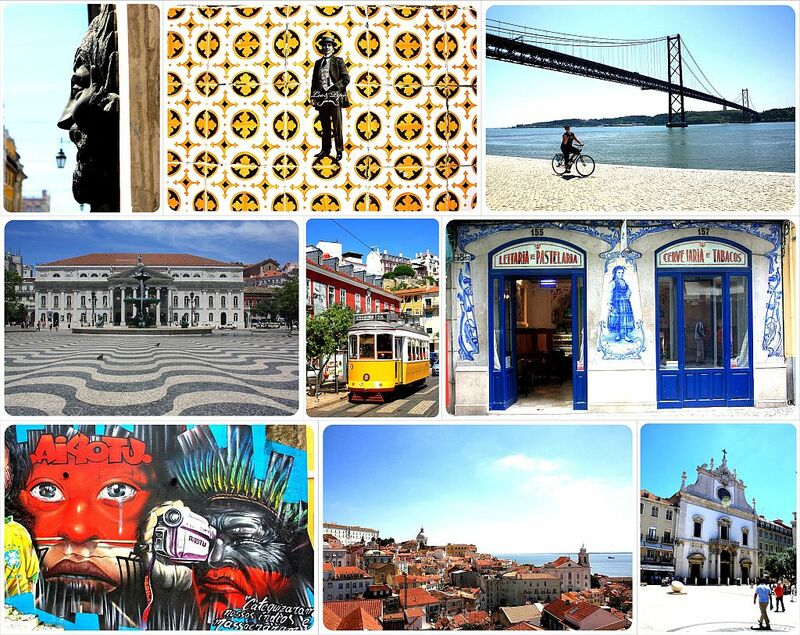 Just a week later we would discover a city that could possibly, one day, be called home: Lisbon, Portugal. The Portuguese capital just ticks so many boxes – laid-back, sunny, warm, good (and cheap) coffee, beaches as far as the eye can see, plenty of history and oozing with charm. What struck us most was how similar Lisbon is to San Francisco. We spent three fabulous weeks here in June (despite a near heart attack experience that still has us cracking up). For more June highlights, check out our Facebook album: Best of 2011: June (Spain, Corsica, Portugal). From Lisbon we flew directly to Toronto to begin an entirely new North American chapter of our travels. We spent six weeks house-sitting outside of Ottawa. These weeks were filled with exploring adorable villages, peaceful sunset bike rides, evenings in the jacuzzi and hanging with the friendly neighbors drinking great Canadian micro-brews. For more July highlights, check out our Facebook album: Best of 2011: July (Canada). August was truly an unforgettable month that brought us through Montreal, Quebec, Boston, and the start of our NYC2NOLA road trip through New York, Philadelphia and Washington DC on our way down to New Orleans. While we loved the freedom of the open road, it was our four nights in New York that dazzled us the most. There is just something about this concrete jungle that gets us every time. 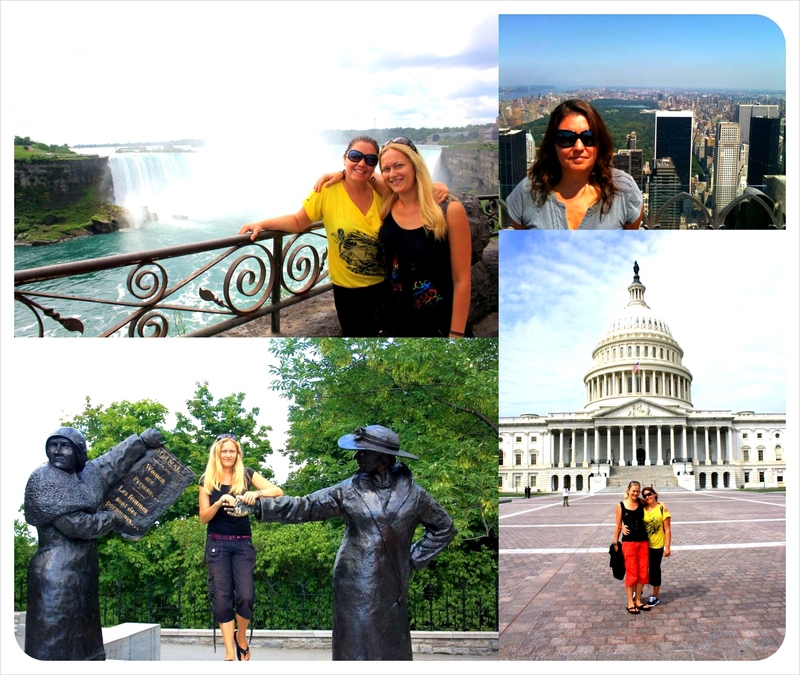 For more August highlights, check out our Facebook album: Best of 2011: August (Canada & USA). After four weeks and over 4,000 miles we finally made it to New Orleans in September. What we found when we arrived is a city with style, individuality and people with a zest for life and love of music like we’ve never experienced before. We could easily spend more than a week in the Big Easy…in fact we toyed with the idea of a few months here sometime in the future, too. On September 13th, just before reaching Chicago, we hit 500 days on the road. 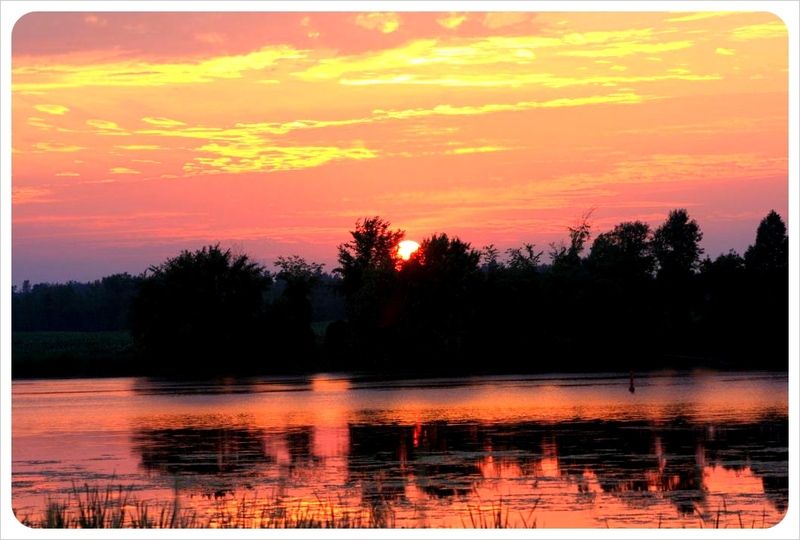 For more September highlights, check out our Facebook album: Best of 2011: September (U.S. Road Trip). 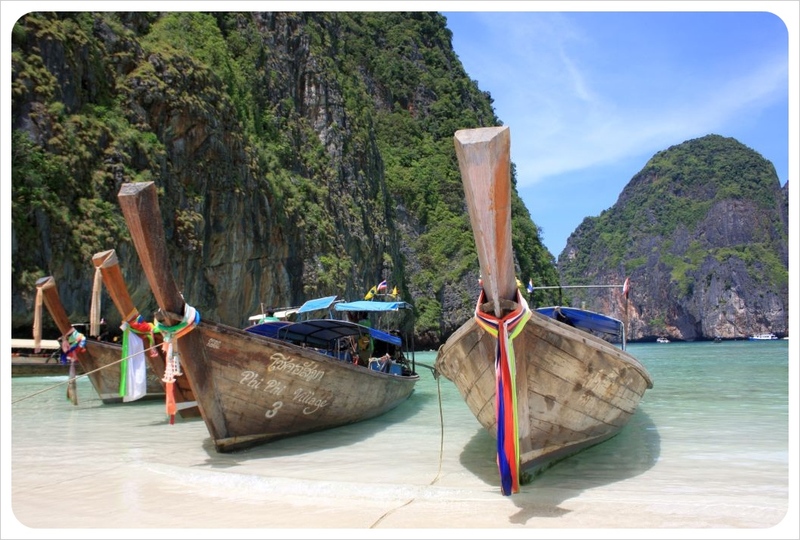 And then we flew to the other side of the planet – for our first trip to South East Asia! We started in Thailand, and it was definitely a relief to gaze out at this crystal blue water after a few chilly weeks in Chicago and Colorado! For more October highlights, check out our Facebook album: Best of 2011: October (Chicago, Colorado & Thailand). After finding a good place to settle down to work in the northern Thai city of Chiang Mai, we hopped a series of buses and boats to travel around northern Laos for the last two weeks of November. While the two countries have their similarities, we were struck by how much simpler life in Laos is compared to fast-paced and modern Thailand. We have learned so much since arriving in Asia, especially about Buddhism – and have become accustomed to sharing our daily lives with the hundreds of monks populating cities and villages across the Buddhist nations. For more November highlights, check out our Facebook album: Best of 2011: November (Thailand & Laos). The last month of 2011 marked a major milestone for us, as we hit 600 days on the road! In some ways it feels as though we have just started traveling. Looking back at everything we have done in these six hundred days truly feels like an accomplishment. One lesson we have learned is that in order to be happy as nomads, we need to know when to take longer breaks and relax. That’s why we booked ourselves in to an apartment in Chiang Mai for one month in December. We love this city, as it has everything we could ever need or want. We celebrated Christmas with friends, went on hikes, spent time with elephants, eaten endless veggie cuisine and learned so much about Thai culture and tradition. For more December highlights, check out our Facebook album: Best of 2011: December (Laos & Thailand). Happy New Year 2012 to all our readers! We would love for you to tell us about your travel highlights for 2011 in the comments below – we’re always on the lookout for new locations about where to travel next! 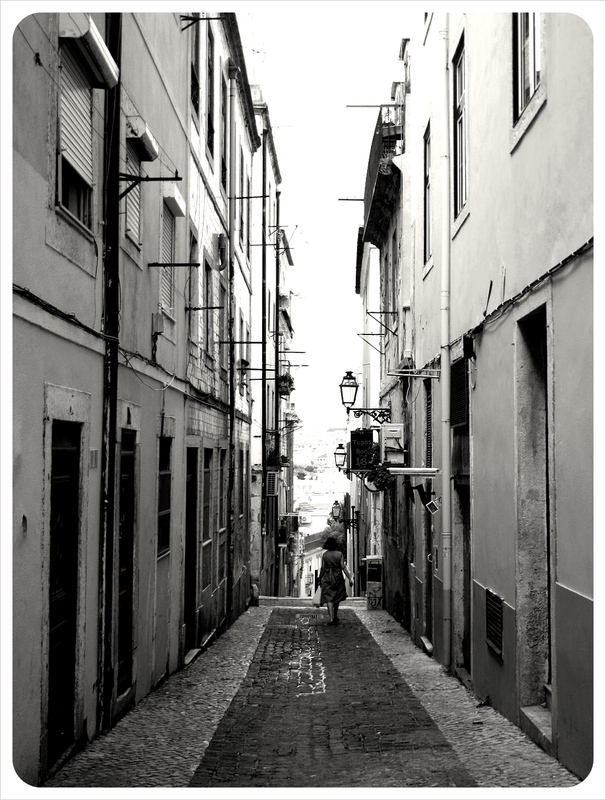 On the look out for budget holidays, all we wanted was sun, sand and good wi-fi, but even though we ended up in Lisbon on a whim, we quickly discovered we had been there before…kind of. The more we walked around and got our bearings, we realized that Lisbon has some pretty uncanny similarities with one of our other favorite cities in the world – San Francisco. Lisbon and San Francisco have so much in common, in fact, that it goes beyond the geography and infrastructure and extends to transportation, culture and lifestyle. When we think of the ‘west coast’, California is what first pops into our minds, but Portugal rightfully markets itself as Europe’s West Coast and the images of sun, sand and beach inspired by that idea are spot on. 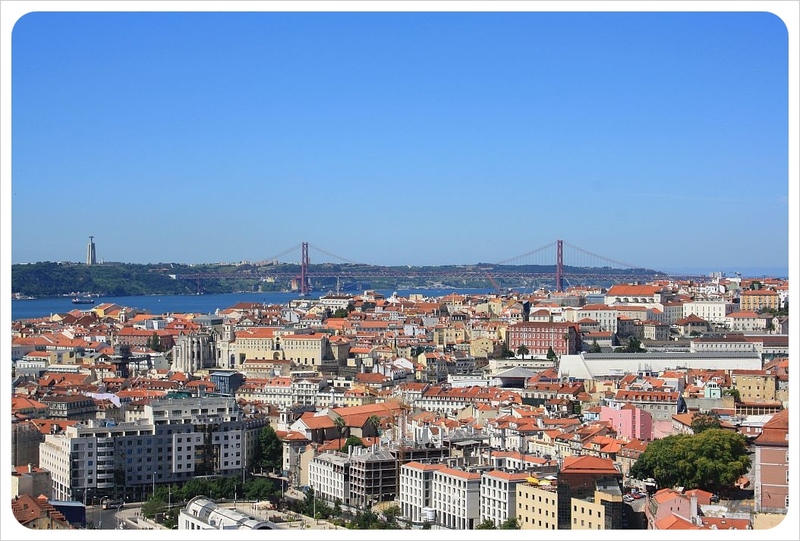 Lisbon is primarily located on the Tagus River just as it empties into the Atlantic Ocean, which means the city is surrounded by so much water, it boasts long stretches of waterfront property and miles of sandy beaches just beyond the city limits. 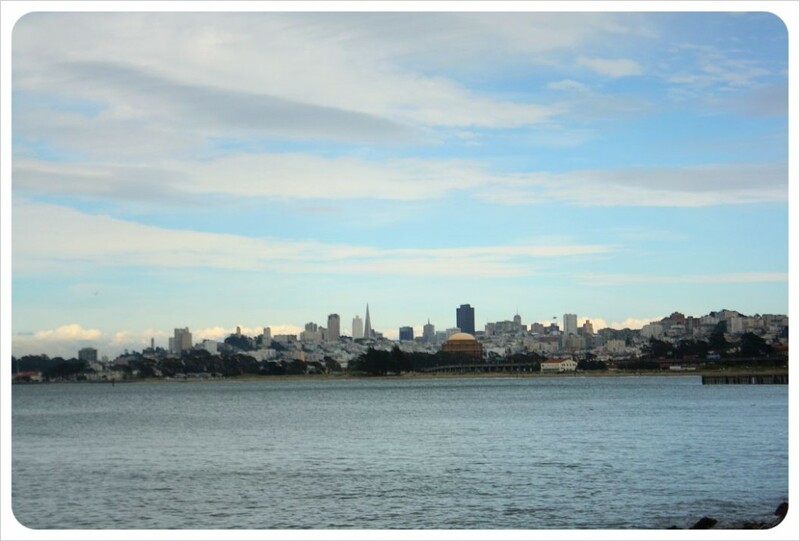 Similarly, the San Francisco peninsula sits between the San Francisco Bay and the Pacific Ocean on the U.S. West Coast. The city’s Ocean Beach is comparable to Lisbon’s Costa Caparica, which are both known for big waves and key surf spots. 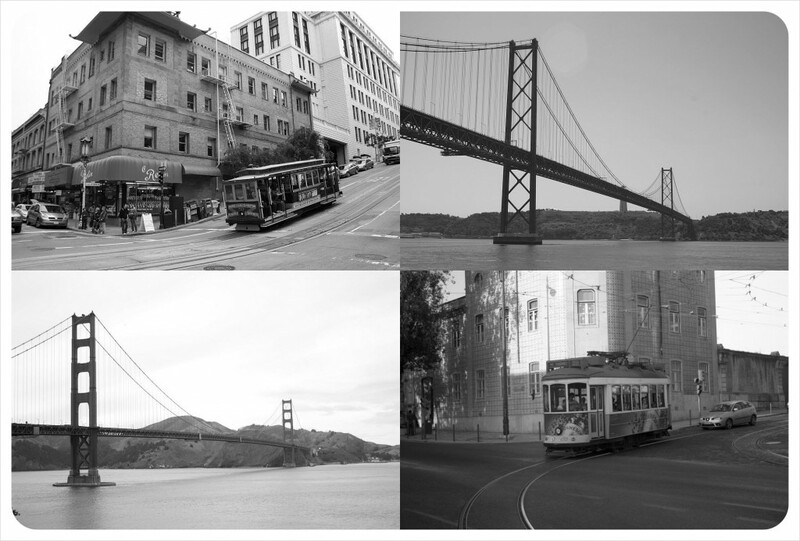 San Francisco, too, has miles of waterfront and beaches – although not quite the same relaxed beach culture as Lisbon. Lisbon and San Francisco are both built atop exactly seven steep hills and because both of us prefer to tour as pedestrians putting miles of pavement behind us on foot, we can attest to the quad-burning workout in both cities. Climbing those hills is worth it, however, as the seven peaks of Lisbon and San Francisco both offer incredible views out over the city and and the ocean. 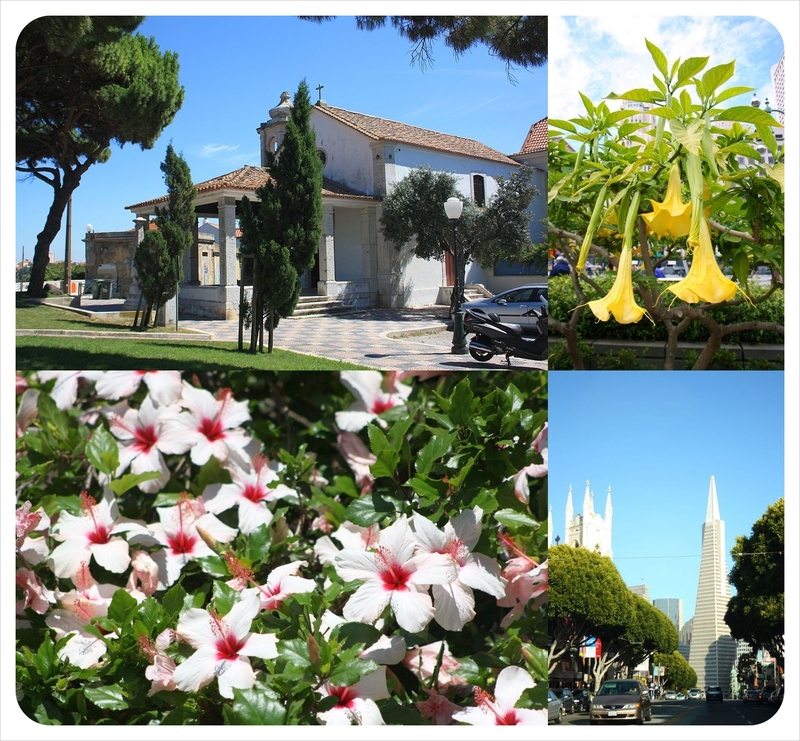 Our favorite hill view in San Francisco was from the Telegraph Hill, and in Lisbon, we loved the views from the Colina de São Vicente, the hill on which the Alfama neighborhood is located. 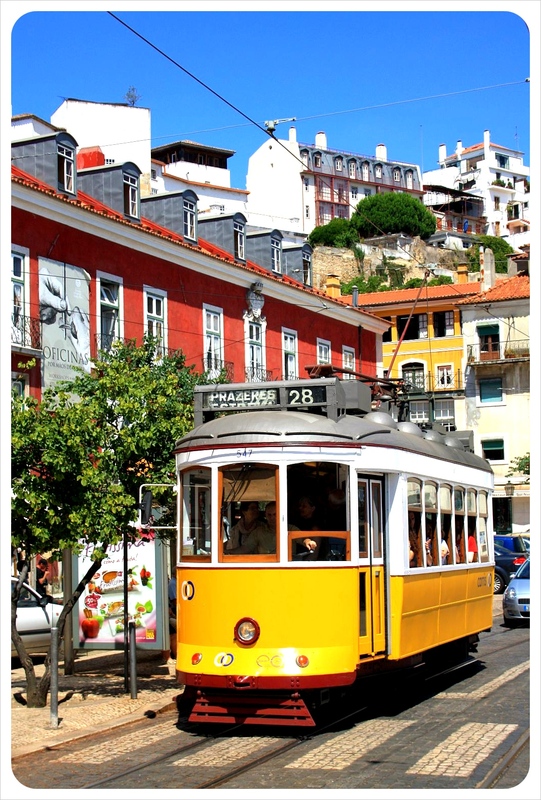 When people think of San Francisco, a vision of the old-time yellow cable cars most certainly come to mind – and it turns out that Lisbon also has cable cars, and they are yellow. To get even more specific, both San Francisco and Lisbon have cable cars and street cars, all of which began to run in the early 19th century. 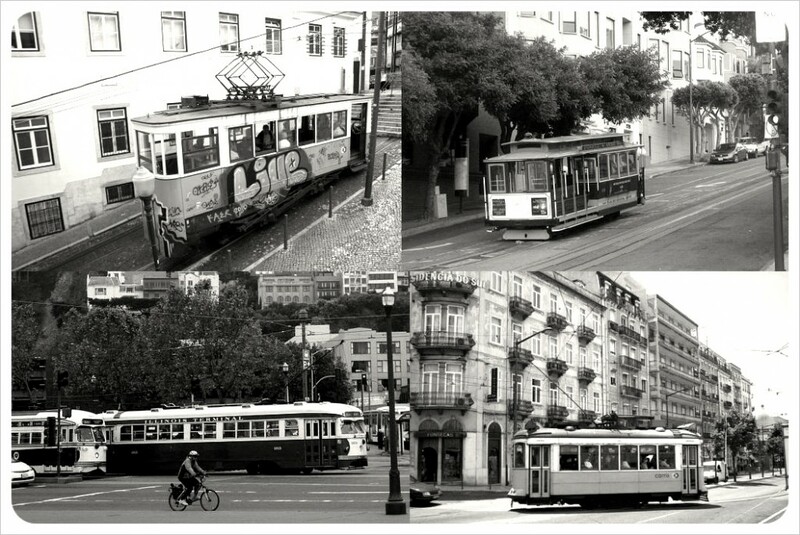 Cable cars can climb the hills, while street cars run best on flat terrain. 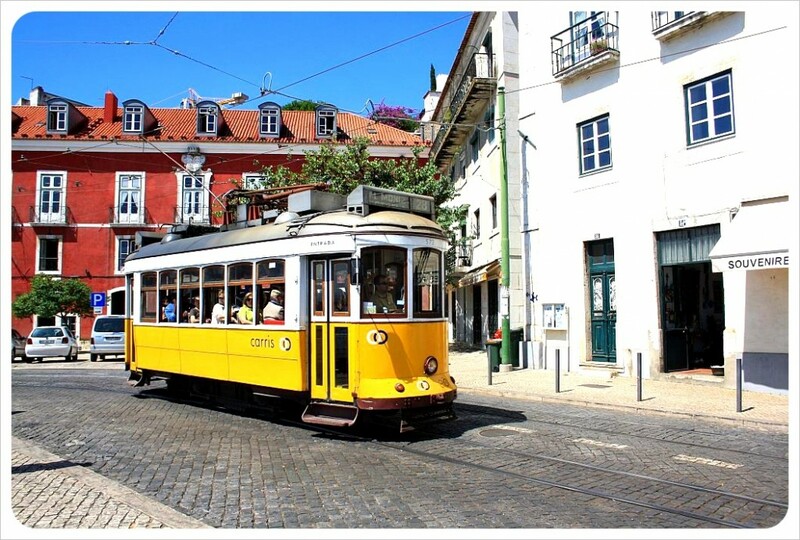 In Lisbon, there are five working trams, called eléctricos (schedule here), which were imported from the U.S and originally called ‘americanos‘. While in Lisbon, these bright yellow electricos are still fully-integrated as a major part of the mass transit system, San Francisco now runs only two operating cable car lines (the oldest manually operated cable car system in the world) and one street car line which runs from Fisherman’s Wharf to the Castro. Early on into our Lisbon residence we walked down to the shore and, upon looking to our right, spotted a bridge so out of place, we did a double take. Is that the Golden Gate Bridge in Lisbon? Although it is called the Ponte de 25 Abril, this Lisbon suspension bridge – the longest of its type in Europe – looks almost identical to San Francisco’s iconic symbol. 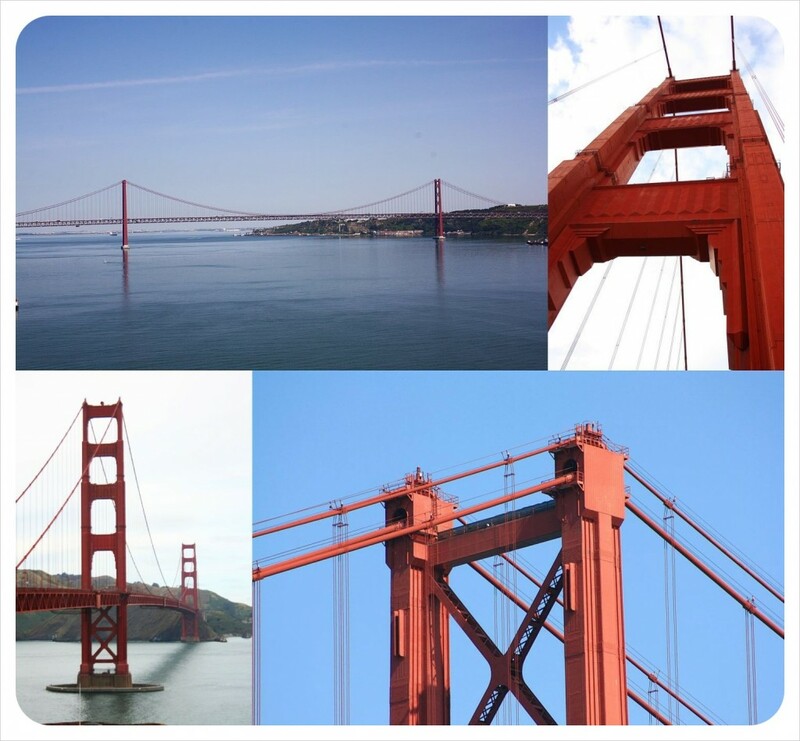 The two bridges are even close in size, as well, with the Golden Gate Bridge spanning 2,737m in length and the Ponte de 25 Abril reaching 2,277m across the Tagus River. The twin city feeling deepens here, as the Lisbon version was actually designed by the San Francisco architect who designed San Francisco’s Bay Bridge. The Golden Gate Bridge has held the record for the tallest suspension towers as well as the longest suspension span for decades, and the Ponte de 25 Abril, which held the record for the longest suspension span in Continental Europe for years, still holds the record for the deepest bridge foundations. Both cities have been leveled by severe earthquakes. Lisbon was hit by several severe earthquakes throughout the centuries, but the worst one hit in 1755 and destroyed 85% of the city. Over 150 years later, in 1906, San Francisco was hit with its hardest earthquake almost completely destroying the city and leaving over 400,000 people homeless. They say that Lisbon and San Francisco share a similar climate and when we arrived in early June, the weather was chilly and cloudy, like a typical San Fran June day. 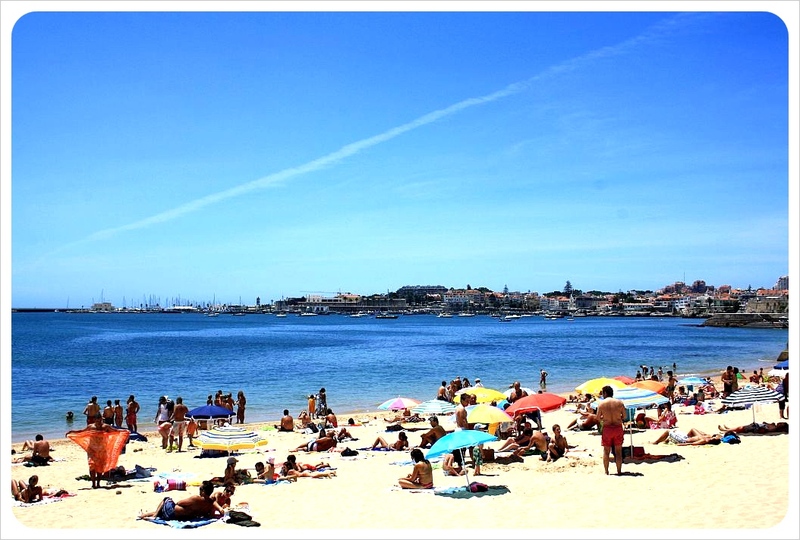 However, as the days and weeks moved on, Lisbon revealed itself to be a hot and sunny Iberian beach spot more similar to southern Spain than San Francisco. The summers are night and day, but the winters in both cities are said to be similarly moist and chilly. This might seem obvious, but too important to forget. San Francisco is the gateway to the wine region of Napa Valley for an afternoon wine-tasting of the ultimate relaxing boozy weekend, and Portgual is not only known for its sweet Port wine from Porto, but also its delicious Vinho Verde, or ‘green wine’, which is really more like a very crisp, refreshing bottle of white. At $8 in restaurants and even less in stores, Portugal is a wine-lover and bargain-hunter’s dream when it comes to wine. Both Lisbon and San Francisco have a thriving coffee culture scene, but they truly are worlds apart. 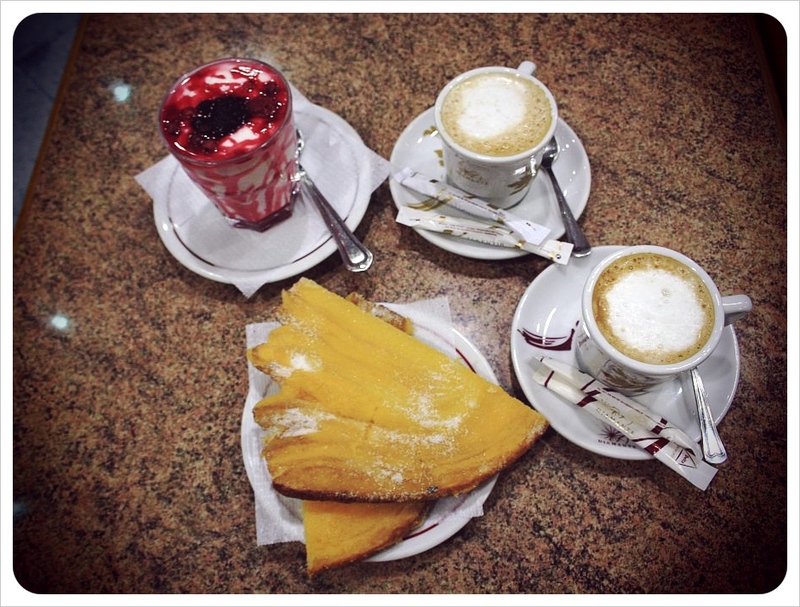 Lisbon, like the rest of Portugal, is full of smaller coffee shops called ‘Pastelerias’, where locals dip in for a cheap 55 cent espresso and a sugary, creamy pastry all throughout the day. There are a couple of Starbucks locations downtown, but the Lisbonians head to their local pasteleria for a pick-me-up caffeine jolt, and spend ten or twenty minutes chatting away to the other regulars. San Francisco, and its neighboring Silicon Valley are both home to a well-developed cafe culture that couldn’t be more different to Lisbon. Here, locals frequent Starbucks or Peet’s Coffee and Tea, open their Macbooks and stick in their headphones for a day of location-independent teleworking. 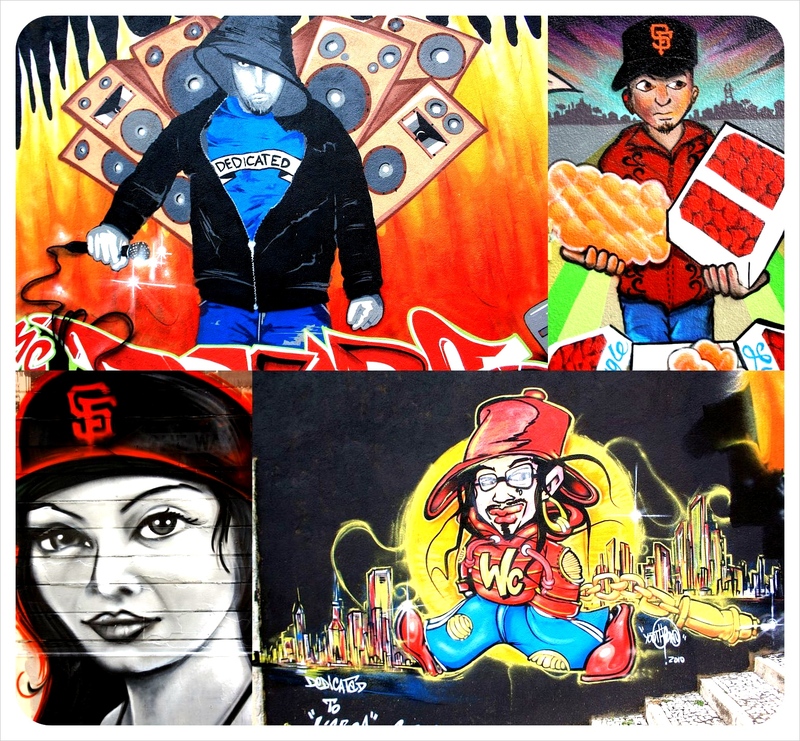 San Francisco, and especially its Mission District, are well known for its unique murals and street art graffiti. During our time in San Fran we spotted a fresh Banksy in fact! The world’s most creative street artists leave their mark here on the West Coast of the U.S., but not any people realize the incredible street art scene happening over on Europe’s West Coast! For street art junkies like ourselves, Lisbon boasts colorful social commentary across many of its buildings and public spaces. Take a stroll through the Bairro Alto, practically a public art museum with incredible graffiti. Have you been to both cities? Did you also feel such a resemblance? Did we miss any other similarities between the two cities? We’d love for you to let us know about anything we missed in the comments below! While we were finishing up our five-week, 5,000 miles (8,000km) road trip last week, we used the long hours in the car to reflect on the last 100 days, which we spent in sunny Lisbon, in Canada, where we traveled in Ontario and Quebec, and finally road tripping along the East Coast and through the South of the U.S.
One of the best things about the Portuguese capital is the miles and miles of beaches that surround the city and the best part about that is how easy it is to get to these beautiful beaches. The popular beach town of Cascais is an easy 40 minute train ride along the coast (sit on the left of the train for the best views!). There are beaches all along the way to stop at, but we really loved arriving in Cascais, walking up and down the promenade and lazily laying on the sunny Atlantic shores. The town itself is well worth exploring too, with beautiful tiled houses, and plenty of narrow alleys to get lost in. Because we knew that this would probably be our last chance to be a beach bum for the next three months, we made a few train trips out to Cascais, and we discovered several great restaurants of all budget ranges and cuisines. We love renting bikes in almost every city we visit, but what we loved about Ottawa was just how easy it is to cycle in, through and around this Canada’s capital city. Ottawa has over 200 miles of perfectly-maintained cycle paths that can take you from the city center to lakes or farmland within 30 minutes. 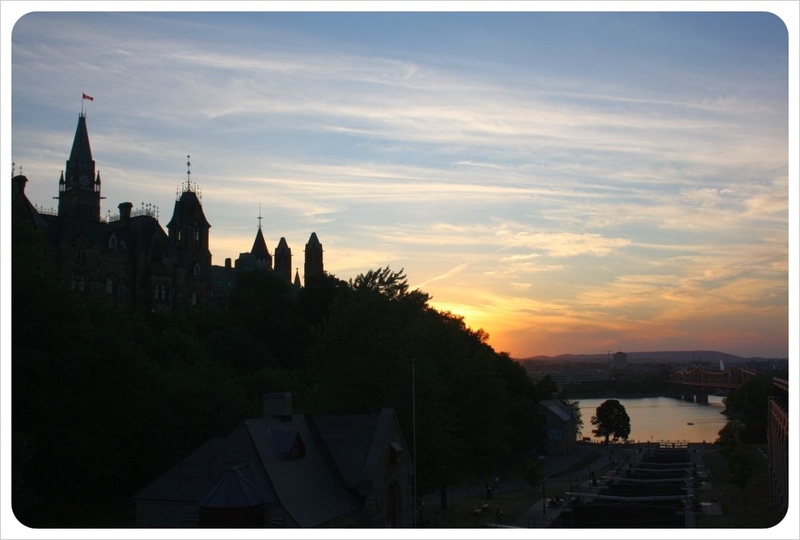 Our day saw us spend over seven hours on our Ottawa rental bikes exploring and enjoying Ottawa. Our Great American Road trip from New York to New Orleans brought us to Savannah for Labor Day weekend. Our long weekend there was as relaxing as it was active and a major highlight on our road trip! 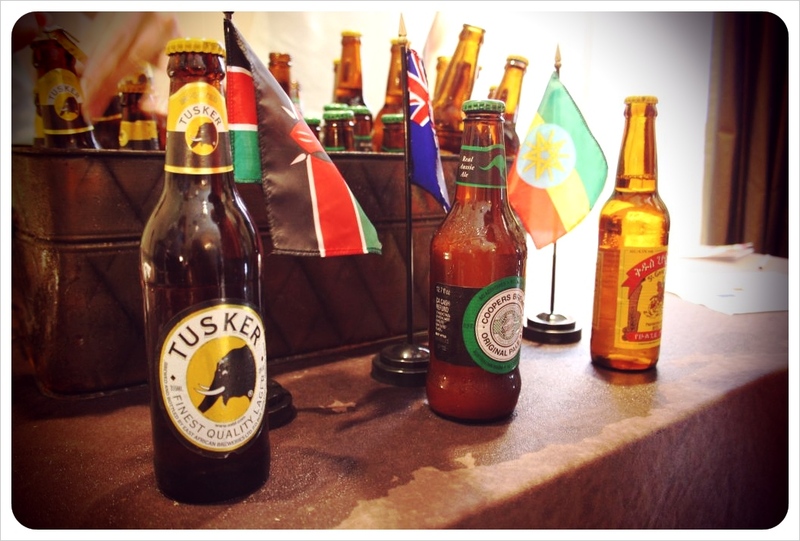 We were very lucky to be able to party hearty at the Craft Brew Fest at the Westin Savannah. We tasted tons of domestic and international craft brews, bellied up to one of the best Sunday brunch spreads we have ever had, and slept in the most comfortable hotel bed since leaving our Ottawa housesit in early August. Finding the right way to express just how much we enjoyed New Orleans is still a difficult task, as we were just so surprised at the incredible layers of this fine southern city. 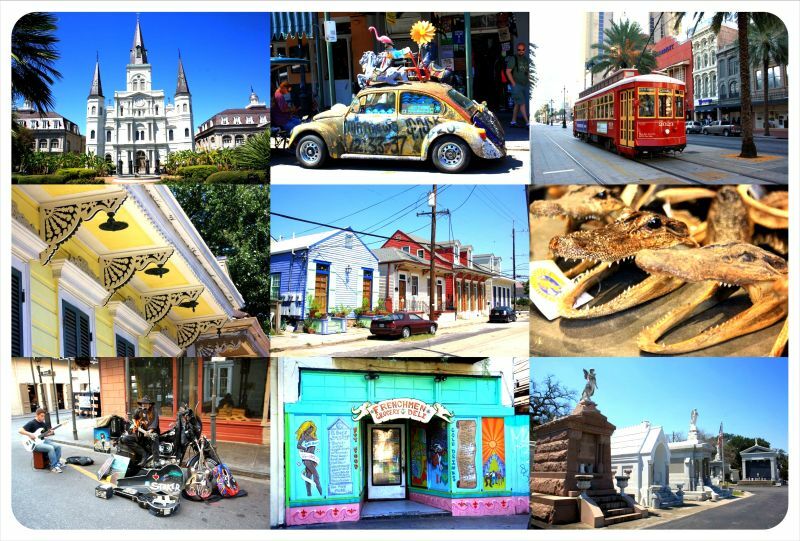 Of course we knew that New Orleans was much more than Bourbon Street, but had no idea how fantastic this city is – from the Garden District and Magazine Street to Treme, the sculpture garden in City Park and of course the entire deliciously charming French Quarter. Our 500th day of travel sees us reaching Chicago just in time for my birthday. This is the first time I have been home to celebrate my birthday since 2003, and only the second time since 1998, so it means a lot to be able to spend time with friends and family while we gear up for the next major leg of our travels. One of my bestest besties from back when phones still had cords threw me a birthday bash with my closest friends and I couldn’t have asked for more. After such a long time on the road, it really warms your heart and eases your soul to be surrounded by your friends. 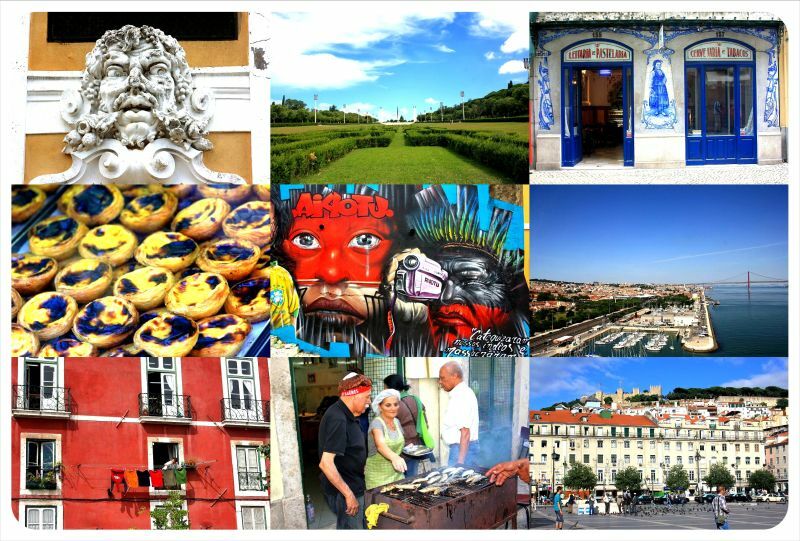 We decided to head to Lisbon on a whim back in May, and the city quickly eclipsed almost all other European cities for us. It’s hard to describe the feeling of sunny freedom we felt here, but it was also the cultural diversity, rich history, tiled houses and exotic-sounding language that sits just outside of our Spanish-speaking reach. The largest city in French-speaking Canada, Montreal is a healthy balance between all that is good about Europe and all that we love about North America. Montreal is a cycling city, easy to explore by bike, the food is delicious, and the culture incorporates the laid-back coffeehouse culture we love so much abut Europe. Putting both these small southern cities on our itinerary put us smack in the center of a long-standing rival between Charleston and Savannah. Which do you like better, nearly everyone asked. 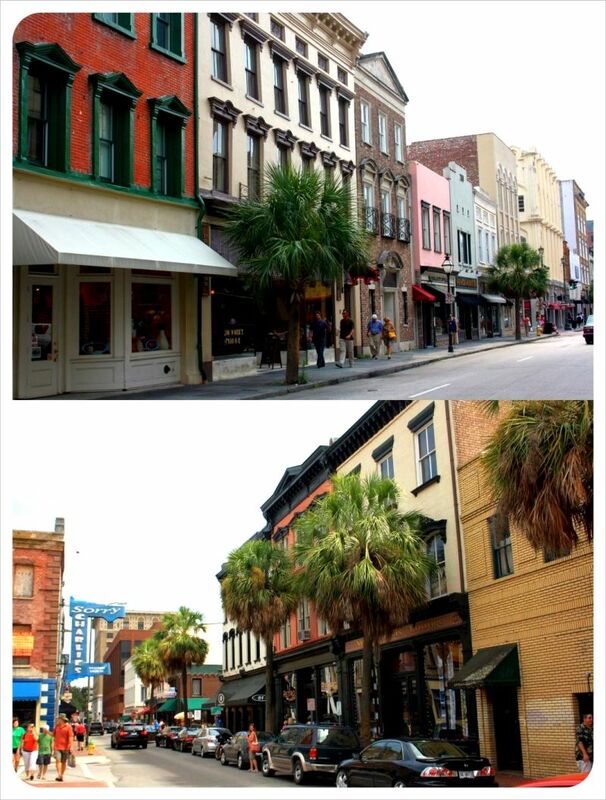 What do you prefer about Charleston? Don’t you just love Savannah, it has so much more to offer than Charleston, and so on. So, rather than put our foot in it either way, we’re choosing both cities as some of our favorites in the last 100 days – and there is no compromise being made here as we truly loved both! Savannah is quirky, mystic while Charleston oozes that classic southern charm. Anytime and always, we love New York. This time around we spent most of our time in Manhattan exploring the quintessential New York stops: The Statue of Liberty, Ellis Island and a trip on Top of the Rock. We padded the pavement north, south, east and west through Central Park early one morning as well as taking long night strolls through Greenwich Village, Times Square and along 5th Avenue. We also explored some areas that we hadn’t been to before, including parts of Brooklyn, Coney Island and the Little Odessa area around Brighton Beach and are already looking forward to our next visit to the Big Apple! Maybe we built it up too much and were too excited about spending time in Atlanta, but it turns out – we don’t really understand the city at all. We relate Atlanta to hip hop and R&B, but couldn’t find a trace of promotion around this aspect of the city. Sure, we experienced Buckhead, Vinnings, drove past the Governor’s Mansion and we loved the only-in-Atlanta experiences like the CNN studio tour and the World of Coca Cola, but felt no connection at all with the city. 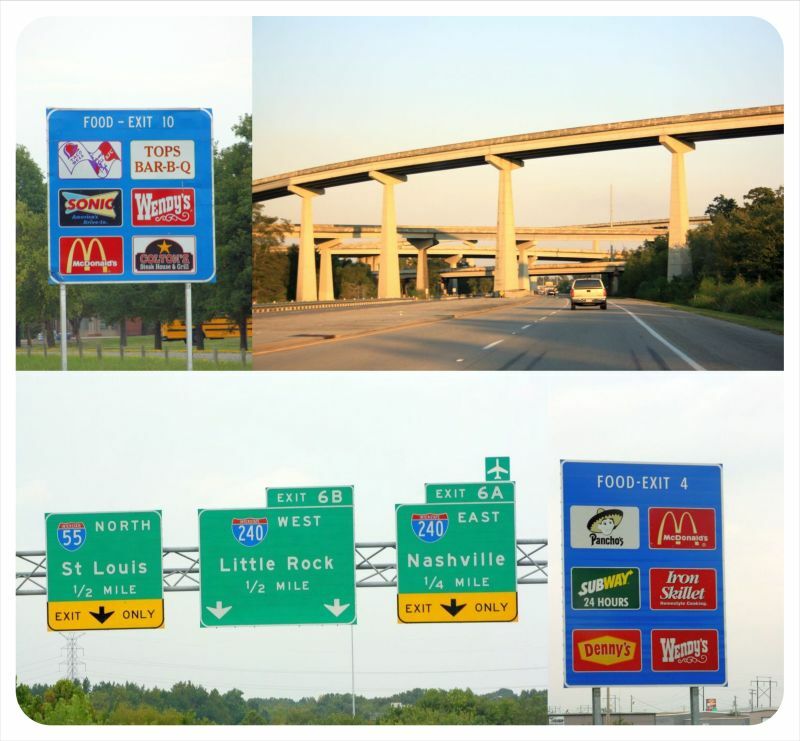 Its expansive, suburban set-up was difficult to navigate without a car, and each trip in the car must be destination based – you have to know where you want to go, you never just happen to pass a great bar or restaurant from the six-lane highways and jump off. We traveled over 3,000 miles from NYC to NOLA, and over 5,000 miles on our Canadian and our U.S. road trips combined, so while we wanted to do a lot of back roads driving, much of the time was spent on Eisenhower’s interstate highway system to get from point A to point B. Some of the drives were breathtaking – especially from Washington, DC to Asheville, but otherwise highway life is an unhealthy, uninspired blend of the same fast-food and budget hotel chains. Finding anything fresh or creative on the interstate is like needle hunting in a haystack. Blues, Soul, Elvis…Memphis has a rich music history, but we had a hard time finding much of anything left. Beale Street, once the beating heart of the blues, now seems like a cheap commercialization of its past, and the downtown area lacks charm. But it is the rust on signs and bridges, falling down signs and city center office buildings sitting completely empty that made us so sad. Don’t get us wrong – Toronto is a very cool city. Great food, creative street art, very plenty to do, but we didn’t feel the charm of Montreal or Quebec, the ease of Ottawa, and because we had expected to adore the city, we ended up feeling disappointed by Toronto – which doesn’t mean we didn’t like the city, though! Goa, India was a territory of Portugal until the mid-20th century – a happy discovery for us as we dined at Indian restaurant after Indian restaurant throughout our three weeks in Lisbon. While seafood fans can eat like absolute kings in this port city, vegetarians could have a much harder time finding veggie dining options, but the dozens of affordable, quality Indian restaurants really save the day. Cute as a button from the outside, this breakfast cafe offers up hearty but healthy plates of pipping hot pancakes, french toast and enough egg dishes for an entire summer of breakfasts in this fine francophone city. We have a must-eat dish in many cities we visit often. In Leon, Nicaragua, we would make a beeline for Desayunazo’s gallo pinto, in Germany it’s pretzel rolls, and in New York City it’s eggplant Parmesan sandwiches…until now. Rarely do vegetarians get to cram an entire baguette of heavy, meaty, saucy Italian deliciousness into their mouths, so eggplant parm sandwiches really used to hit the spot. Until this time. We found this great place off Wall Street that puts thin slices of eggplant Parmesan on pizza. Not eggplant cubes or anything we’ve had infinite times in infinite places. We mean an entire layer of thinly breaded eggplant parm slices on top of delicious New York style pizza with cheese and sauce on top. We now have a favorite New York food, ladies and gentlemen. If you’re looking for down-home southern cooking with a smile and you happen to be in Atlanta – make sure to eat in one of the six tea rooms at Mary Mac’s. The menu is about as traditional as southern cookin’ can get – drink Mint Julip or Peach Iced Tea to wash down Chicken and Dumplin’s, Crawfish, fried green tomatoes, mac-n-cheese, broccoli-cheese souffle or fried breaded okra. For dessert, we sampled the banana pudding and peach cobbler. We did not spend one cent on accommodation throughout our time in Canada. This was primarily accomplished through our five-week housesit outside of Ottawa, but in the last 100 days we’ve also really gotten involved with couchsurfing (finally!). We were hosted in Toronto, Montreal and Quebec, and couldn’t be more pleased with how it went, having met interesting locals who gave us tips and showed us around town in a way we never could have otherwise seen those two cities. Not only does couchsurfing save us a lot of money on accommodation, but we also appreciate getting to know areas outside of the downtown hotel areas and getting insider tips from people who live in the towns we visit. Hotwire.com is one of the booking websites that offers great mystery deals, whereby if you give up your right to know exactly which hotel you will stay in until after booking, you can choose an approximate area of the city and how many stars the hotel has, and get up to a 60% discount on rooms. We used Hotwire quite a lot on our U.S. road trip, as the site has great deals in many cities allowing us to remain within our comfortable budget range, but stay in hotels that would normally be out of reach for us. We were never disappointed, and stayed in some great hotels thanks to Hotwire in the last 100 days. Savannah is famous for both the book and the film version of Midnight in the Garden of Good and Evil, as well as the setting for much of Forest Gump, so we thought a movie tour would be an interesting addition in our touring of this city. We were excited to watch the film clips as the bus went from location to location. Unfortunately, and for the first time ever, we actually recommend our readers NOT to take part in something – avoid the Savannah movie tours. 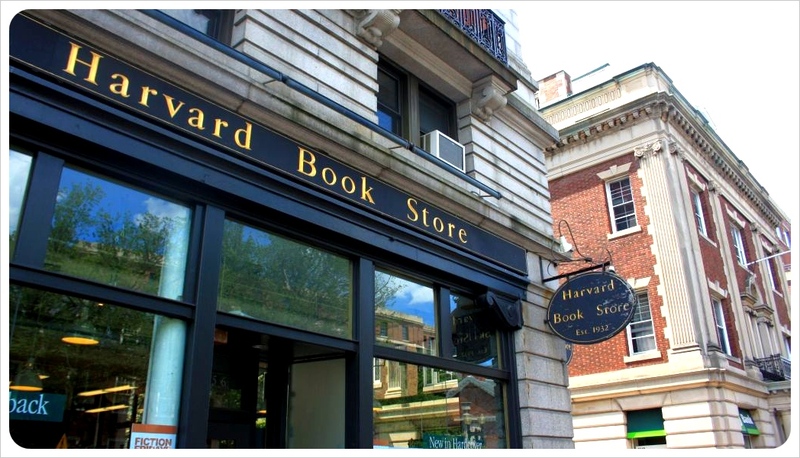 The information was shallow, not knowledgable, there was little passion involved on the part of the guide, and at one point, he offered for everyone to get off the bus and eat ice cream at a well-known ice-cream parlor (aka tourist trap). This was the only tour we had to book a day in advance for, but don’t waste your time or money – these tours are not worth it! 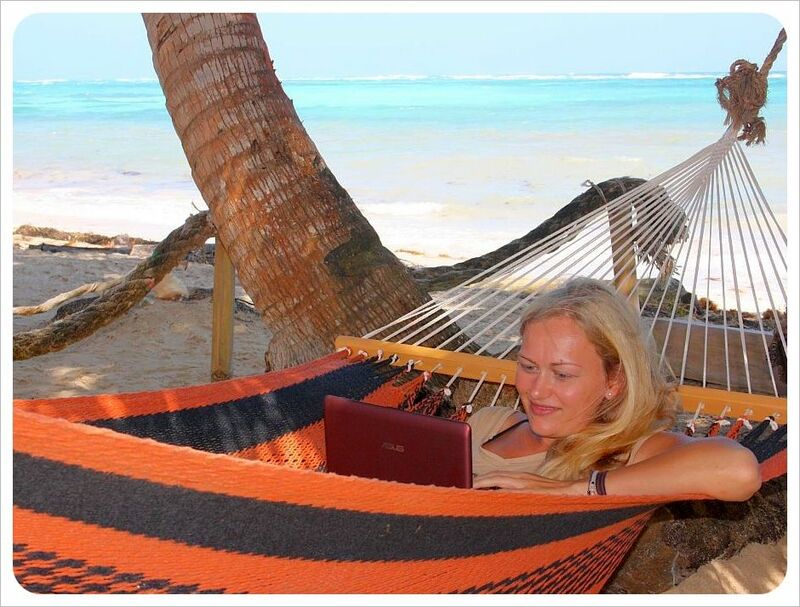 Over 500 days ago we purchased our little Asus Netbooks and loved them as family until one day, Dani’s netbook crashed. Luckily Dani is good at backing up and so didn’t lose everything, but she did lose loads of recent documents and downloads, and we had a heck of time transfering data and getting back up and running on a new computer (a brand-new Apple Macbook Air). The second netbook is on its last leg and also about to crash as well, so we are on the hunt for a new laptop for the next big stop on our trip – Asia! Each time we sit down and reflect on the last one hundred days, the initial feeling is always a stunned sort of shock at just how much we have seen and done in the last quarter of a year. In our pre-nomadic era, one hundred days could have come and gone without much more changing than a few new purchases, a short city break or two and some crazy nights out with friends. Now, as nomads, we move continents, lifestyle patterns, languages and learn new things almost every day. In the last 100 days we have been to (only) three countries, driven well over 4,000 miles in three different rental cars, been on several boats, crossed countless major bridges, tasted dozens of new dishes from a handful of entirely new cuisines, met loads of new, interesting people (and made some great new friends), relaxed in our own personal jacuzzi, stayed at a few exclusive hotels as well as some dingy roach motels, and had the opportunity to tour through the eastern and southern US states to get a feeling for what life in America is like today. One of the best aspects of nomadic lives is that we can cancel or change plans at the last minute. 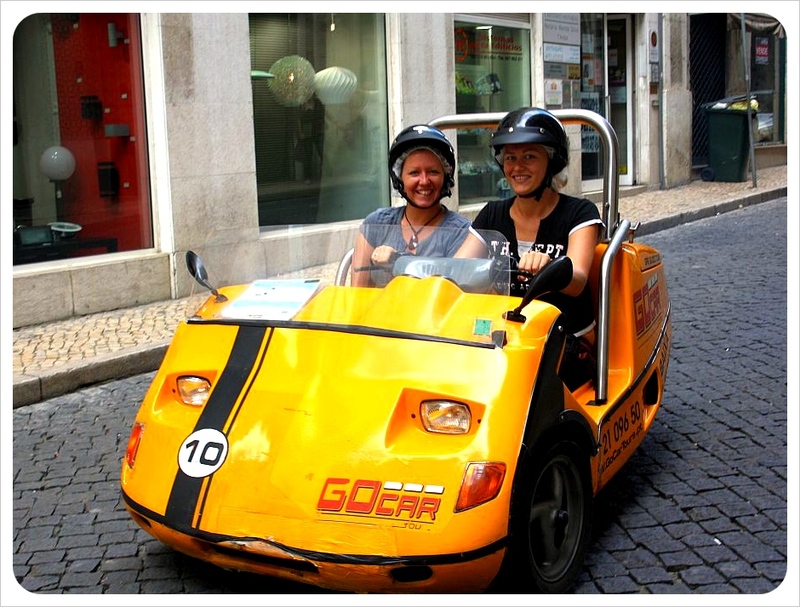 A three-week stay in Lisbon happened randomly when our planned Cross-Canada Road Trip fell through and we were looking for somewhere warm, cheap and European to spend three weeks before beginning our housesit in Ottawa. Lisbon couldn’t have been a better choice. The city has the metropolitan, multicultural feel, casual lifestyle, clear and sunny skies and miles of beaches that come together to be the sort of place we could live in one day. Instead of just unpacking and staying in the Portuguese capital, we instead flew into Toronto for the beginning of over three months in North America. Just two days after arriving, it was time to pickup a rental car in Buffalo, New York. The sense of freedom we have while traveling in Europe disappears here, as the availability of public transportation is either negligible (United States) or expensive (Canada). In the last months we have gone on to rent two cars for a total of 11 weeks which has been a budget breaker, but totally worth it. Six of those weeks were spent housesitting outside of Ottawa. This period of time was the longest we have stayed in one place since before our official GloberotterGirls adventure even began. We enjoyed the peaceful, safe neighborhood, the well-maintained house, making our own food and actually settling in to a routine that was really key to several professional and personal successes. In the end, however, that tingling excitement of our next steps started to slowly envelope us into the cloud of euphoria that hits each time we are about to make our next bold move. After the homeowners returned, we hopped in the car and headed to Montreal and Quebec for a week. By that time we realized just how much we learned about Canada. As most Americans can admit, we don’t learn all that much about the neighbors to the north in school, and Canada doesn’t make headline news much either. 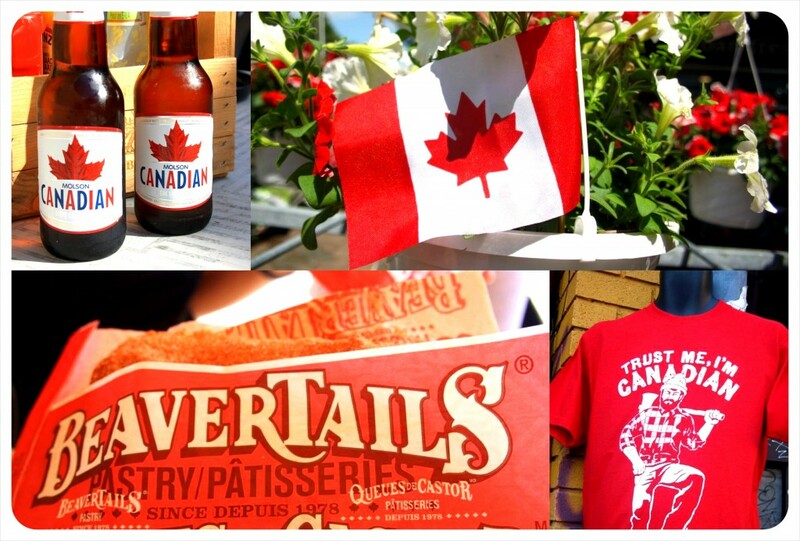 We were there for national celebrations like Canada Day and Colonel By Day, ate national foods like Poutine, Beaver Tails and Tim Hortons (it is practically a national cuisine! ), visited cities like Toronto, Ottawa, Montreal and Quebec and explored the expansive countryside, watched shows like Corner Gas and heard enough people tacking ‘ey’ on to the ends of sentences that it almost slipped out our mouths a couple of times. 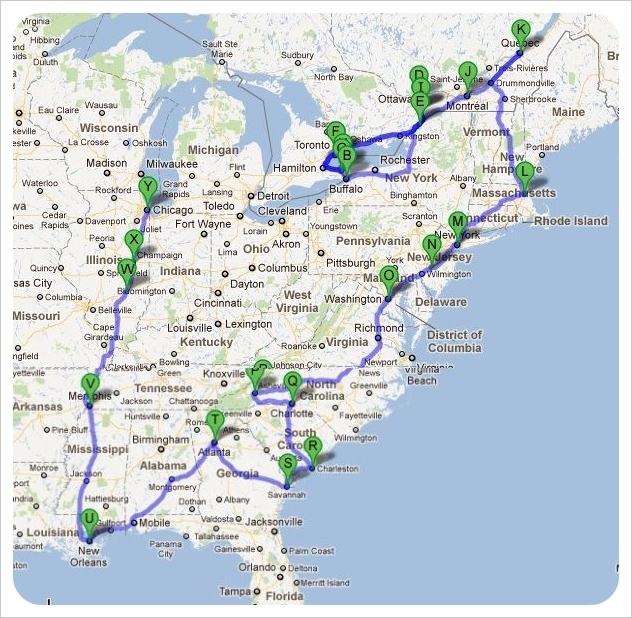 And so began our mega road trip, through Montreal and Quebec, down across the border in to Boston, and to Manhattan, NYC, where we started the longest ‘leg’ of our trip: the Great American Road Trip: NYC2NOLA. It was an intense four weeks. Constantly on the go, we took a bus from NYC to Philly, on to DC, rented a car and drove over to Asheville and Charlotte before heading down to Charleston, west to Savannah, up through Atlanta and over to New Orleans. Then we extended the trip up through Memphis to Chicago. The road trip has been as enthralling as shocking, a slap in the face of the hardships of life in America right now. Long talks ensued about life here – from the blatant disregard for health and wellness, crumbling infrastructure (Memphis) to the fascinating bits of local culture we discovered throughout the Northeast and the Deep South. I am from Chicago, which is very different to anywhere we just got through visiting, and as I haven’t lived in the US since August 2001, it is a true eye-opener to rediscover post 9/11, post Katrina, post Great Recession, post Bush, post first-election-of-black-president America. This was no vacation for us: the whole road trip was about keeping our eyes open all the time, taking everything in, and coming to understand America in a deeper way. It hasn’t been about confirming or changing stereotypes, but witnessing first hand what each place is like, the feel, the attitude and the people. After a few weeks of friends, family, rest and relaxation here in Chicago, we are heading to Denver for a few days before flying off to South East Asia! We are ready for a new and even bigger challenge after so long on the road. We have never been to Asia and don’t speak any of the languages like we do in Latin America, Europe and the U.S., so this will be a huge step out of our comfort zone. We couldn’t be more excited to explore an entirely new part of the world in as much detail as we have examined our own! AdventurousKate in Boston for recommending that great Thai place and taking the time to hang on her last night in the U.S. The Charleston Visitors Bureau for top tips and the city pass which allowed us to see so much of the city in such a short period of time. Nicole, our long lost Georgian friend we know from our time in England at the University of Sussex – it was so great to meet up, drink wine and eat some super yummy southern food at Mary Mac’s Tea Room in Atlanta! Last but not least, we would like to thank everyone who is following our journey!